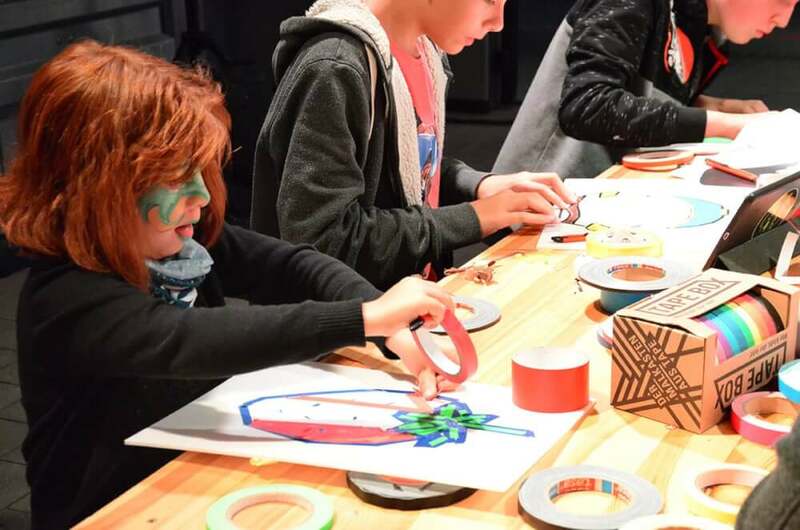 Tape Art and Street Art Workshop - Join in with us! 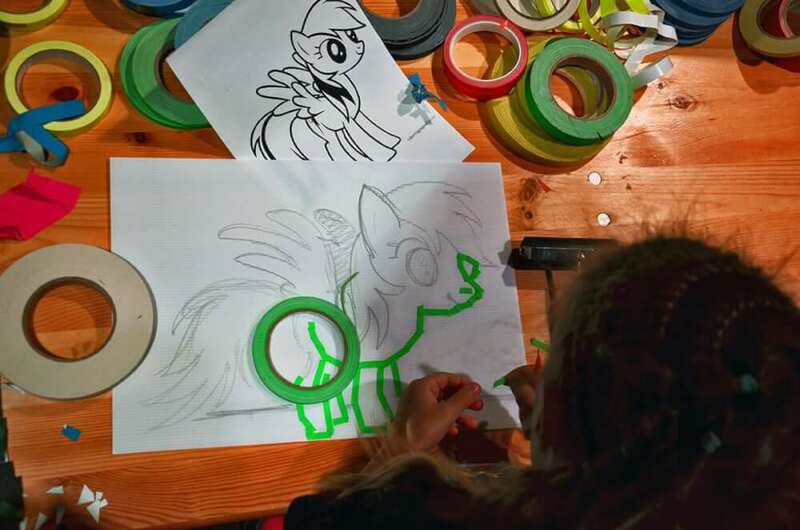 Tape Art Workshop – Join in! Tape artist from Berlin Slava makes it possible! What Tape Art is called, is fresh, striking and inspiring. You do not need much to do that – the idea is the most important thing. This redefines street art. 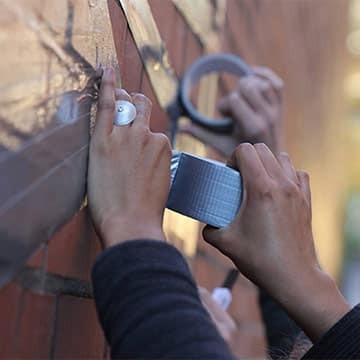 This urban art, in which instead of spray paint only the adhesive tape is used as a material for the creation of the work, gets the fast spread because of its light technique, low effort and still always an effective result. 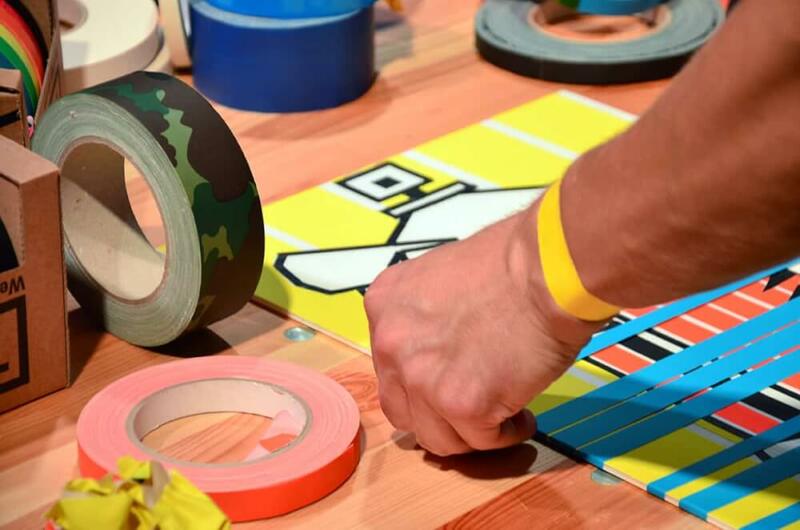 What is art out of tape? Tape art is city-friendly art, does no harm and can be easily removed from any surface. Even the tape as a working substance is very beneficial. It’s easy to work with and any mistake is easy to correct. 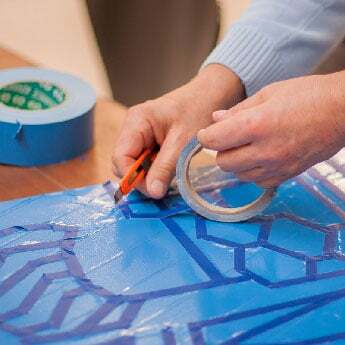 The ornament, the picture or the abstract Something can arise under your hands with the help of adhesive tape. How this is done will be shown at our workshop. We offer you the exclusive opportunity to further recognize and develop yourself. Do you know how far you can lead your own creativity? Test yourself and learn how to present your ideas using color, light and shadow, shape, texture and depth effect. Depending on your wishes, you can create your own work independently. Enjoy informal constructive communication with your colleagues and teamwork on a project. Ostap offers you the opportunity to live out new ideas, creativity and innovative recreation in a community. Do You Have Questions? 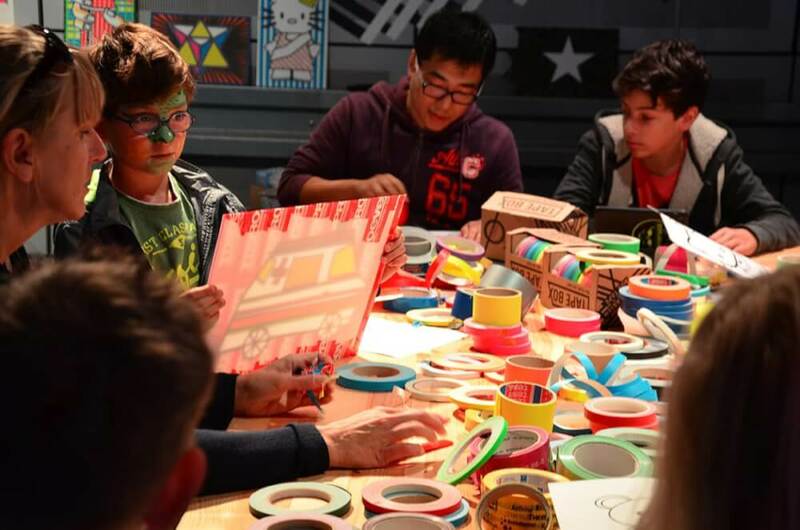 Do you want to organize a tape or street art workshop in your city? Get in contact immediately and be inspired by gluing or spraying!